Xu Haofeng (foto) não é um rosto muito conhecido do grande público. Mas com apenas três filmes , sendo dois deles a respeito da arte do Ving Tsun, este incrível diretor e roteirista está causando uma transformação no cinema chinês tão grande , que só teremos a real dimensão daqui a uma ou duas décadas. Xu Haofeng (photo) is not a familiar face to the general public. But with only three films, two of them about the art of Ving Tsun, this amazing director and screenwriter is causing a transformation in Chinese film industry in such a way that we will only have the real dimension from here to one or two decades. 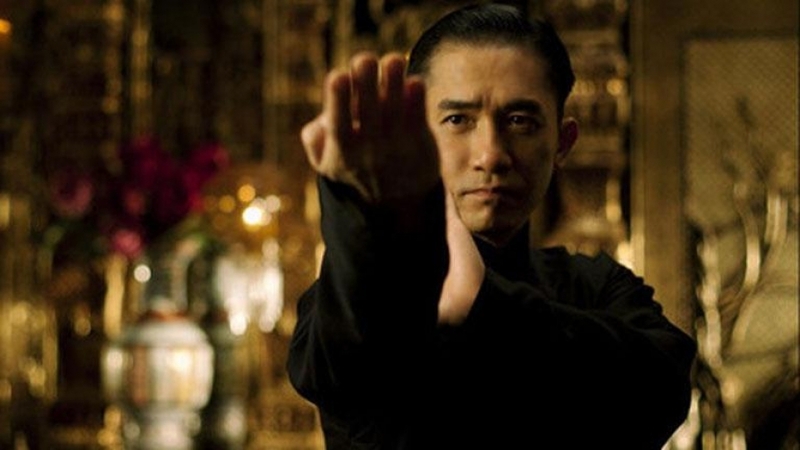 Antes de falarmos de Xu Haofeng, vamos falar do homem que "Inventou os filmes de Kung fu": Lau Kar Leung(foto). Lau Kar Leung , é descendente da Família Lau, a qual tem em seu patriarca, Lau Jam, um discípulo de Lam Sai Wing , que por sua vez foi discípulo do lendário Wong Fei Hung. Esta é uma linhagem de Hung Ga tradicionalíssima. Lau Kar Leung, começou como consultor e dublê nos filmes em preto e branco de Wong Fei Hung. 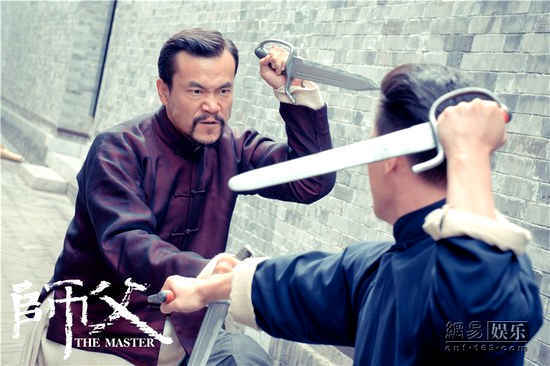 Before we talk about Xu Haofeng, let's talk about the man that "invented the kung fu films": Lau Kar Leung (photo). 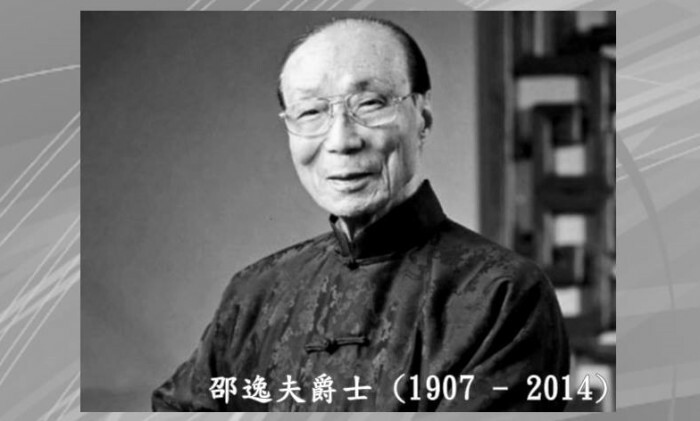 Lau Kar Leung, is a descendant of the family Lau, which has in its patriarch, Lau Jam, a disciple of Lam Sai Wing, which in turn was a disciple of the legendary Wong Fei Hung. This is a line of Hung Ga very traditional. 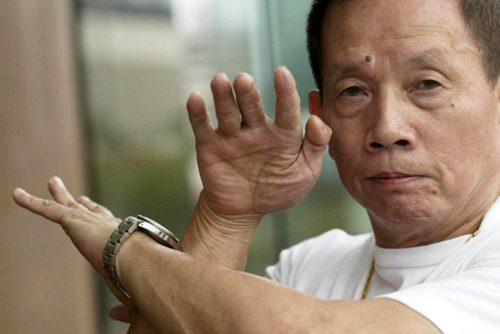 Lau Kar Leung, started as a consultant and stunt in movies black and white of Wong Fei-hung. Acontece que na época, os filmes não possuiam o conceito de "coreografia de luta". Geralmente os produtores contratavam um Si Fu que trazia seus discípulos e eles faziam o que podiam. Pois segundo o próprio Lau Kar Leung, muitas vezes eles eram avisados minutos antes de filmarem como seria a cena. E pessoas que mal sabiam artes marciais eram orientadas por ele para entrarem em cena em menos de uma hora. It turns out that at the time, the chinese film industry lacked the concept of "fight choreography." Generally producers hired a Si Fu(Chinese for "Master") who would bring his disciples and they did what they could. Because according to Lau Kar Leung himself, often they were told minutes before filming how the scene would be. 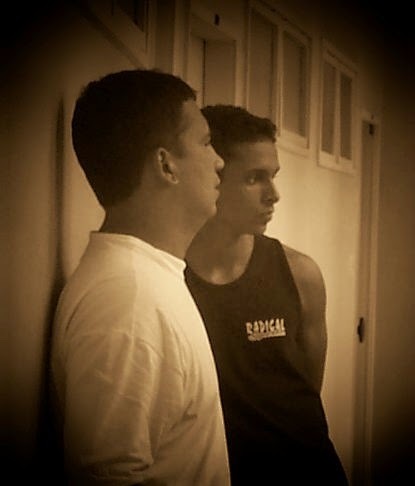 And people who barely knew martial arts were guided by him to come on the scene in less than an hour. Finalmente, Lau kar Leung (foto) tem a ideia de introduzir as coreografias nos filmes de artes marciais chinesas, e uma revolução acontece: A partir de agora, as lutas eram coreografadas! Finally, Lau Kar Leung (photo) has the idea of introducing the choreographies in the Chinese martial arts movies, and a revolution happens: From now on, the fights were choreographed! "Spiritual Boxer" introduz o conceito de "comédia e filmes de Kung Fu" , que consagraria Jackie Chan e Yuen Woo Ping em menos de cinco anos com "Drunken Master" e Stephen Chow uma década depois. Em "Spiritual Boxer", um jovem tranbiqueiro finge receber o espírito do Rei Macaco rendendo muitas cenas divertidas. 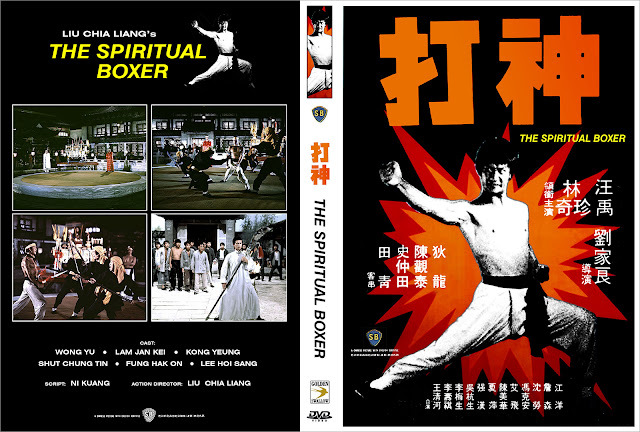 "Spiritual Boxer" introduces the concept of "comedy in kung fu films," which would enshrine Jackie Chan and Yuen Woo Ping in less than five years trough "Drunken Master" and Stephen Chow a decade later. In "Spiritual Boxer," a young thief pretends to receive the spirit of the Monkey King trough many fun scenes. A obra-prima de Lau Kar Leung, desta vez na direção, viria através do clássico dos clássicos "Dirty Ho" (1979) numa colaboração com seu irmão Kung Fu Gordon Liu(A direita na foto). Este famoso ator por papéis como o monge San Te no filme "As 36 câmaras de Shaolin" e como Pai Mei em "Kill Bill vol 2" . 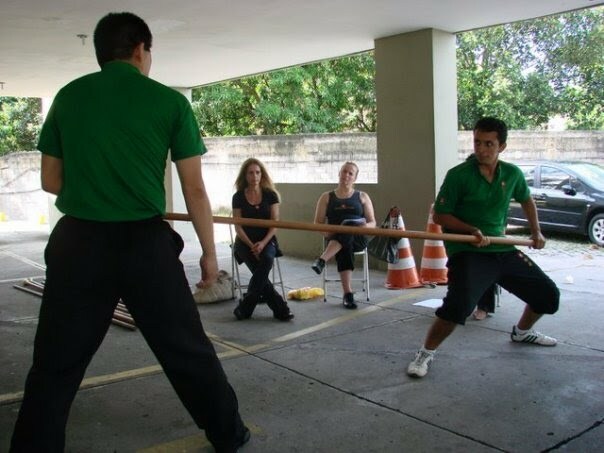 Praticou Hung Ga sob a tutela do pai de Lau Kar Leung recebendo o "Nome Kung Fu" de Lau Kar Fai. Assista ao trailer deste clássico divertido (AQUI). 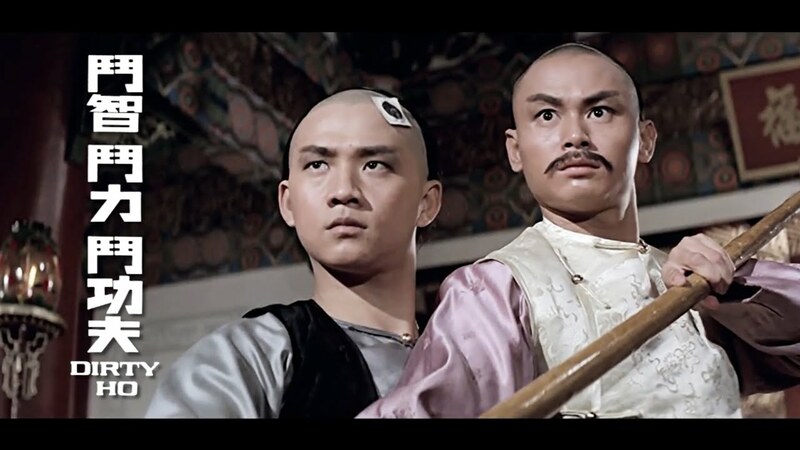 The masterpiece of Lau Kar Leung, this time in the direction, would come through the classic of classics "Dirty Ho" (1979) in collaboration with his Kung Fu brother Gordon Liu (photo in the right). This famous actor for roles like the monk San Te in the film "The 36 chambers of Shaolin" and as Pai Mei in "Kill Bill Vol 2". 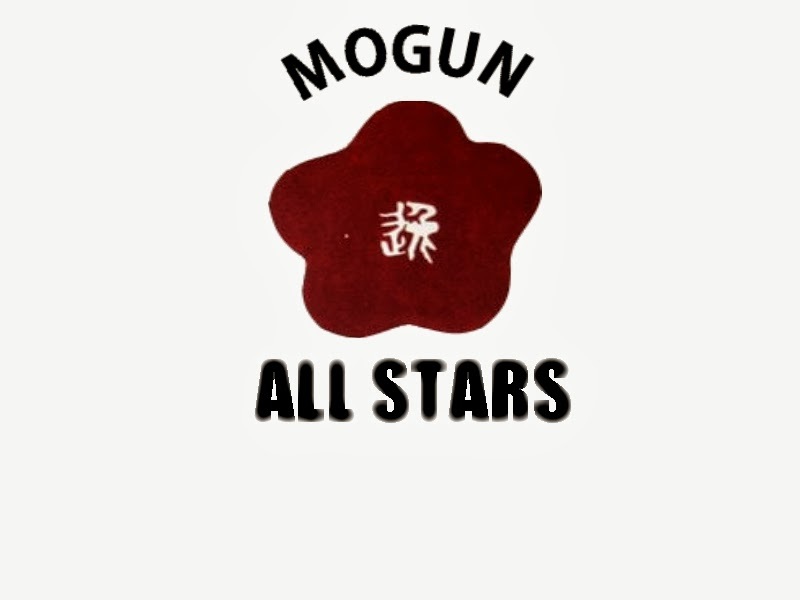 He practiced Hung Ga under the tutelage of his Lau Kar Leung's father receiving the "Kung Fu Name" of Lau Kar Fai. Watch the trailer for this fun classic (HERE). Então finalmente, décadas depois de Lau Kar Leung e Bruce Lee terem mudado o cinema na China. Surge Xu Haofeng(foto). Assim como Ang Lee , que era fã de romances de Wu Xia em sua juventude, e com isso apresentou ao mundo "O Tigre e o Dragão" (Crouching Tiger, Hidden Dragon,2000) . Xu Haofeng trouxe o conceito de implementar nos filmes de artes marciais, uma linguagem condizente com o que acontece de fato no "Mo Lam" (termo usado para os círculos marciais chineses). 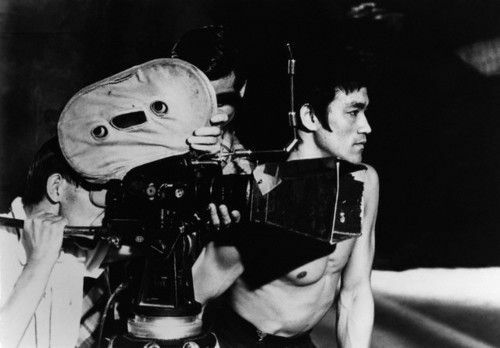 Then finally, decades after Lau Kar Leung and Bruce Lee have changed the film industry in China. Enters Xu Haofeng (photo). As Ang Lee, who was a fan of Wu Xia novels in his youth, and introduced the world to "Crouching Tiger, Hidden Dragon" (2000). 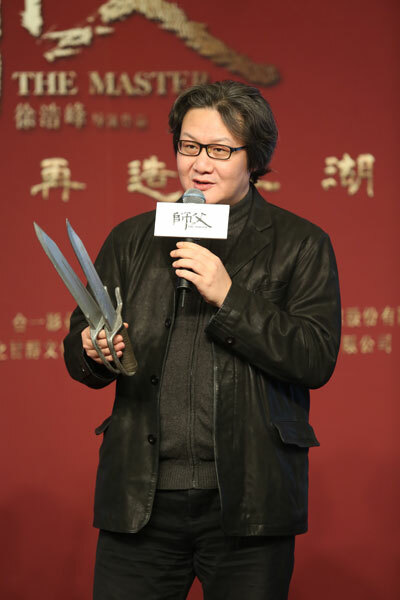 Xu Haofeng brought the concept of implement in martial arts movies, a matching language with what actually happens in "Mo Lam" (term used for Chinese martial circles). 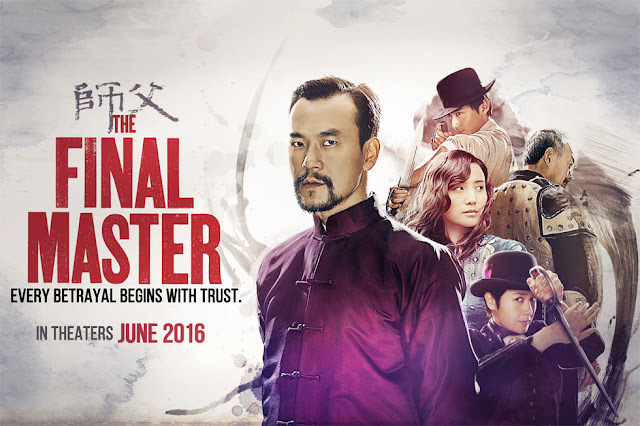 Quando assisti "The Grandmasters"(2012) eu demorei a processar o que tinha acabado de presenciar: O melhor filme de Kung Fu que assisti na vida! Com diálogos impecáveis que poderiam ser entendidos em várias camadas (Incluindo as perdas do mandarim para os idiomas ocidentais), descobri mais tarde, que Wong Kar Wai, o incrível diretor e idealizador deste projeto, havia contratado Xu Haofeng para escrever o roteiro baseando-se na realidade dos Círculos Marciais Chineses...E o resultado foi sublime! When I saw "The Grandmasters" (2012) it took me a time to process what had just watched: Best Kung Fu movie I watched in my life! With impeccable dialogues that could be understood in several layers (including losses from Mandarin to Western languages), I found out later that Wong Kar-wai, the amazing director and creator of this project, had hired Xu Haofeng to write the screenplay based in fact of Chinese Martial circles ... And the result was sublime! Xu Haofeng com isso pôde finalmente trazer a público, mais uma soberba produção com sua assinatura intitulada no Ocidente de "The Final Master" e na China de "O Si Fu" (trailer AQUI). Mais um filme sobre um Si Fu de Ving Tsun (Wing Chun), porém desta vez fictício, mas com um diferencial: O uso dos Baat Jaam Do do Ving Tsun. Xu Haofeng could finally bring to the public, another superb production with his signature in the West entitled as "The Final Master" and in China as "Si Fu" (trailer HERE). Another film on a Ving Tsun (Wing Chun) Si Fu, but this time a fictional one , but with a twist: The use of Baat Jaam Do from Ving Tsun Style. A história neste filme não importa. O estilo de Xu Haofeng é apenas criar um cenário qualquer para estabelecer relações interpessoais do Mo Lam num nível absurdo e desta vez ele também nos trouxe a novidade dos embates com lâminas. E preciso dizer que as coreografias estão tão, mais tão complexas e ao mesmo tempo palpáveis e poéticas. Que a próxima vez que você assistir ao duelo de "Baat Jaam Do" de Donnie Yen com seu rival em "O Grande Mestre 3"(Ip man 3), você sentirá vergonha alheia. The story in this movie does not matter. Xu Haofeng style is just create a scenario to establish interpersonal relationships from Mo Lam trough an absurd level and this time he also brought us the news of duels with blades. And to say that the routines are so, so more complex and at the same time tangible and poetic. The next time you watch the duel of "Baat Jaam Do" by Donnie Yen with his rival in "Ip Man 3" , you will feel shame. Xu Haofeng(foto) está a frente de seu tempo assim como Lau Kar Leung e Bruce Lee estiveram. 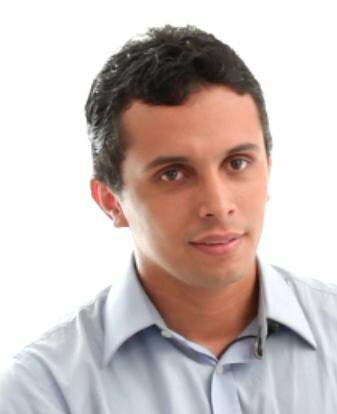 Porém, para este roteirista e diretor de outro planeta. O desafio será muito maior: Traduzir os pormenores de um sistema de relações tão complexo como o "Mo Lam" (Circulo Marcial Chinês) para o grande público. Por hora, posso apenas dizer que "The Final Master" é imperdível! 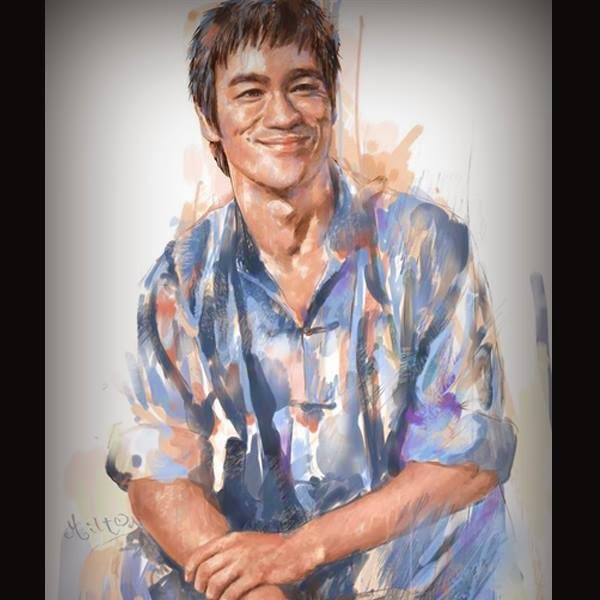 Xu Haofeng (photo) is ahead of his time as well as Lau Kar Leung and Bruce Lee were. But for this writer and director "from another planet". The challenge will be much higher: Translate the details of a so complex relations system as "Mo Lam" (Chinese Martial Asrts Circles) for the general public.